A First Alert is in effect from 5 p.m. Wednesday to midnight for the potential of severe storms. More severe storms are expected Wednesday, a day after a Tornado Warning as severe storms moved through. The First Alert is in effect from 5 p.m. Wednesday to midnight for the potential of strong winds, flooding and isolated tornadoes. Storms Tuesday led to flooding in parts of our area. Severe storms led to a tornado warning and flash flooding for parts of the region Tuesday and more stormy weather could be on the way Wednesday. A First Alert is in effect for Philadelphia and the rest of the region, with the exception of the Jersey shore, from 5 p.m. Wednesday until midnight as storms packing the potential for damaging winds, torrential downpours and flooding. An isolated tornado can't be ruled out. The First Alert comes a day after a Tornado Warning for parts of Burlington County, New Jersey, and Flash Flood Warnings in other parts of the area for several hours Tuesday. Severe storms led to a Tornado Warning in parts of Burlington County, New Jersey, as well as flooding throughout the region. A severe thunderstorm capable of producing a tornado was located over Tabernacle, New Jersey, according to the National Weather Service and a Tornado Warning was issued for east central Burlington County, New Jersey, Tuesday evening. 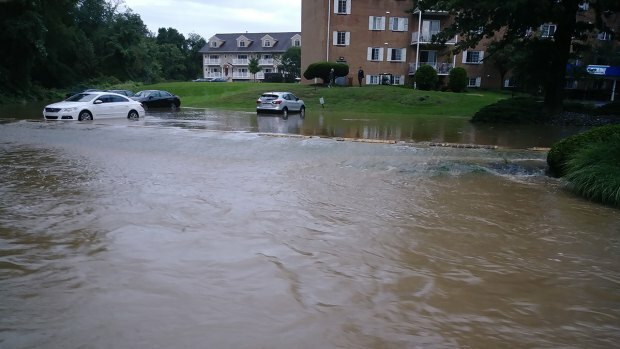 The warning expired shortly before 7:30 p.m.
A Flash Flood Warning was also in effect Tuesday night for Burlington, Camden and Gloucester counties in New Jersey as well as Bucks County, Philadelphia and Delaware counties in Pennsylvania. Martin Luther King Drive was closed in Philadelphia from the Falls Bridge to Montgomery Drive due to the flooding, Philadelphia Police tweeted. 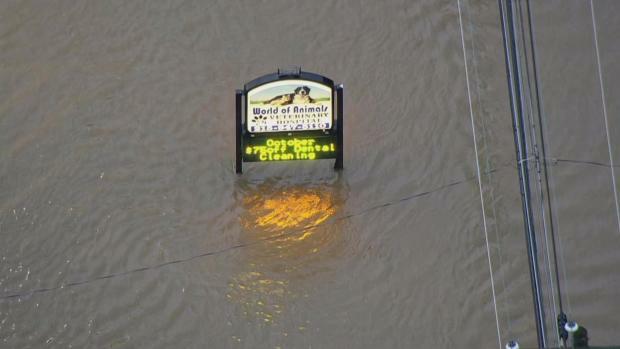 SkyForce10 was over heavily flooded roads in South Jersey and Lower Moreland. The Huntingdon Valley and Bryn Athyn Fire companies were dispatched for multiple water rescues Tuesday afternoon and evening in Lower Moreland. At one point, officials reported 15 vehicles in the water at Philmont Avenue and Red Lion Road in Lower Moreland. Both companies completed 10 rescues of people trapped in their vehicles. Two medics who were inside an ambulance that was stuck on a flooded road on North 19th Street and Harrison Avenue in Camden, New Jersey, had to be rescued as well. They were not injured. More severe storms with damaging winds, torrential downpours, possible flooding and possible isolated tornadoes are expected to hit our region Wednesday. Stay with the NBC10 First Alert Weather team for the latest weather updates.